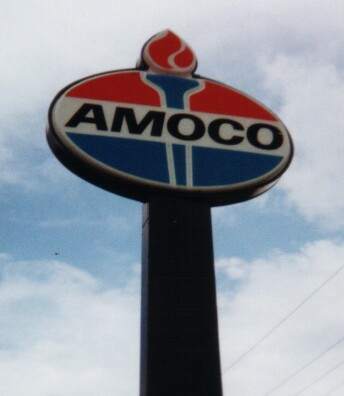 Amoco sign at University and Forsyth, Orlando, Florida. 2002 photo by Mark Logas. 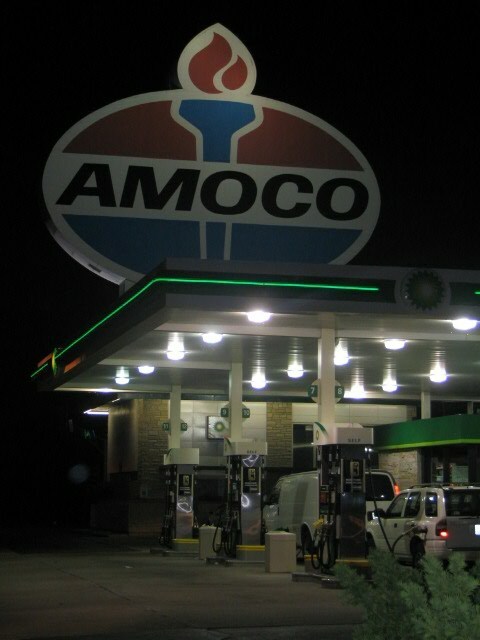 As of 2012, property is an Amscot cash advance. 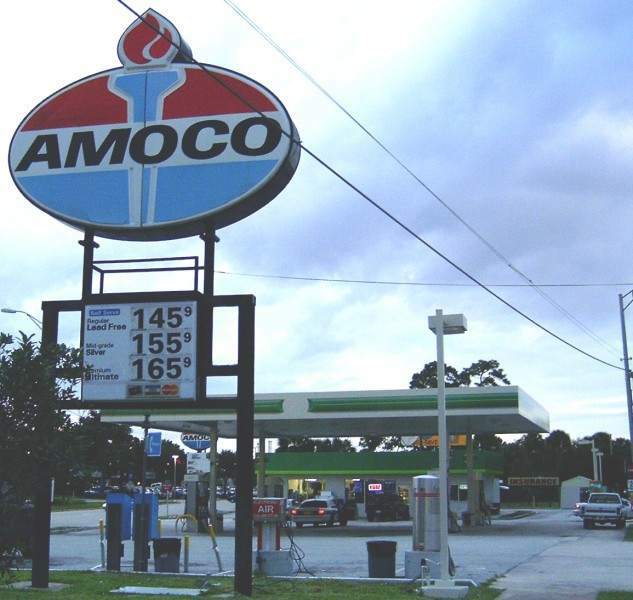 Amoco highway sign at Cambridge and Fairbanks, one block east of I-4, Orlando, Florida. 2002 photo by Mark Logas. Station became a Chevron. As of 2012, it is closed. 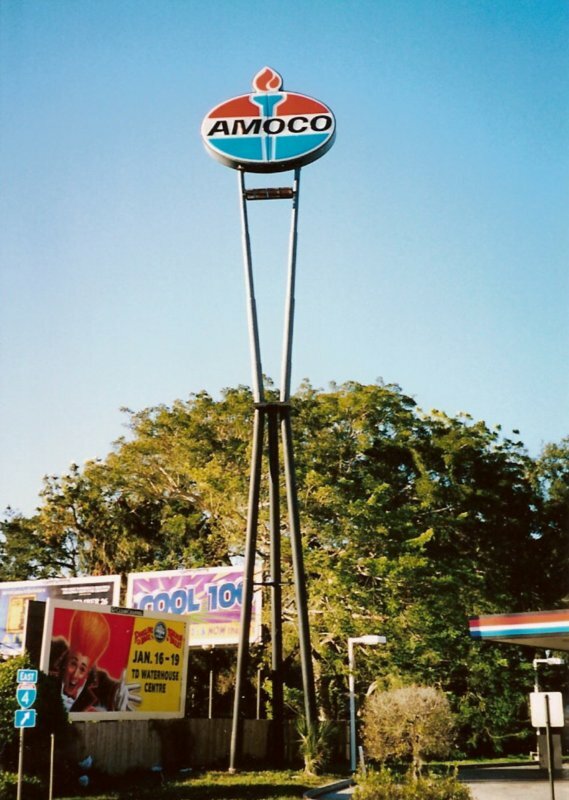 Amoco sign at FL Highway 436 and Thompson, Apokpa, Orange County, Florida. 2002 photo by Mark Logas. Station is closed as of 2006. 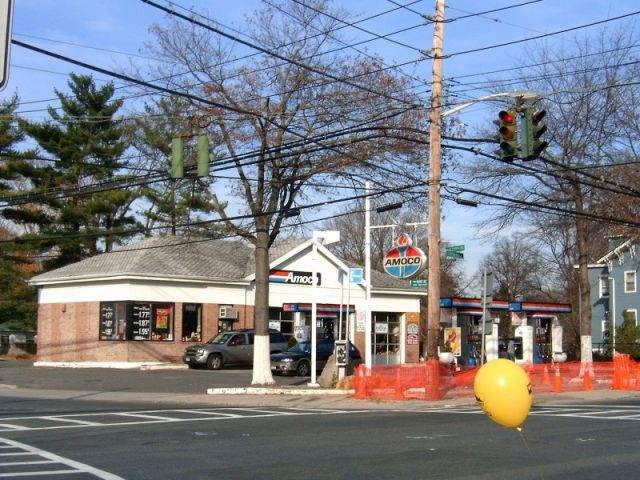 Per Google Street View, this location is now a 7-Eleven store in 2012. 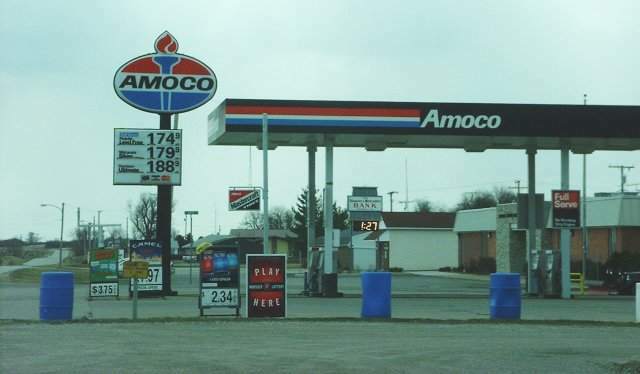 An Amoco with Standard sign in St. Clair, Michigan. Taken March 24, 2004 by Andy Songal. have not changed to BP. 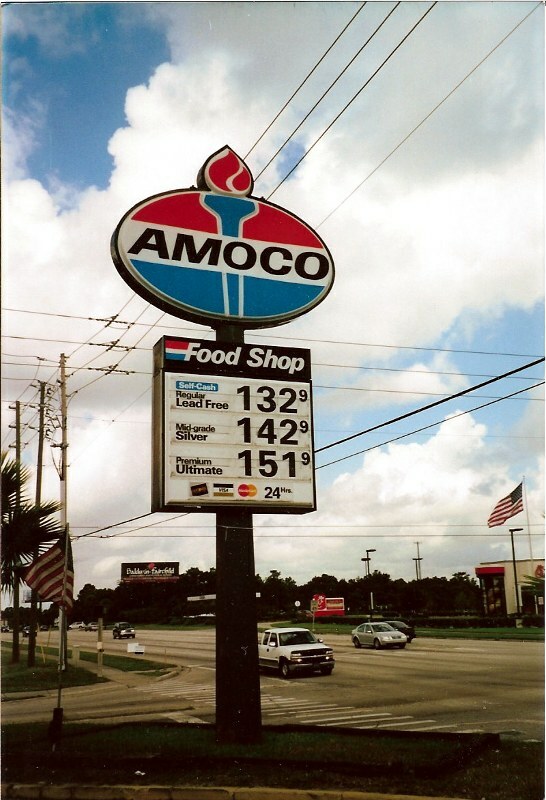 Pictures taken in March of 2004 by Mark Pesci. 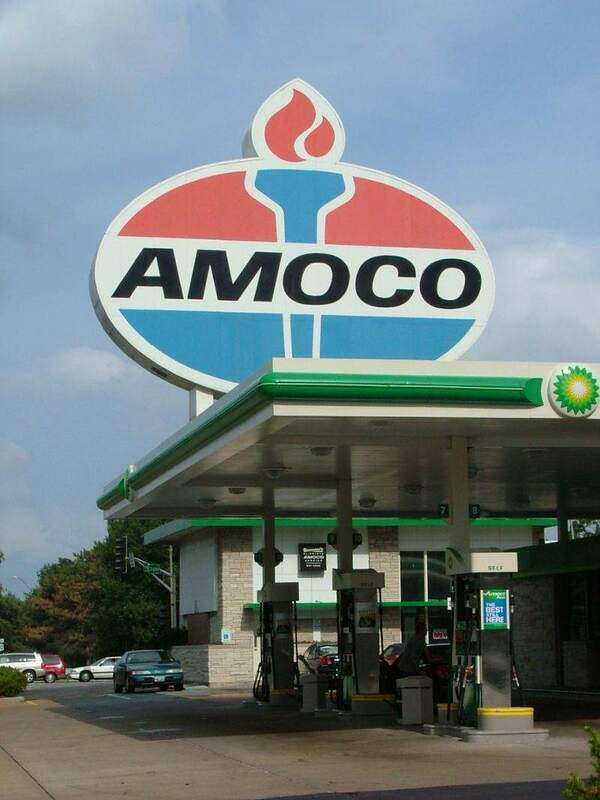 Two shots of McFalls Amoco, still alive and no sign of BP in 2004. 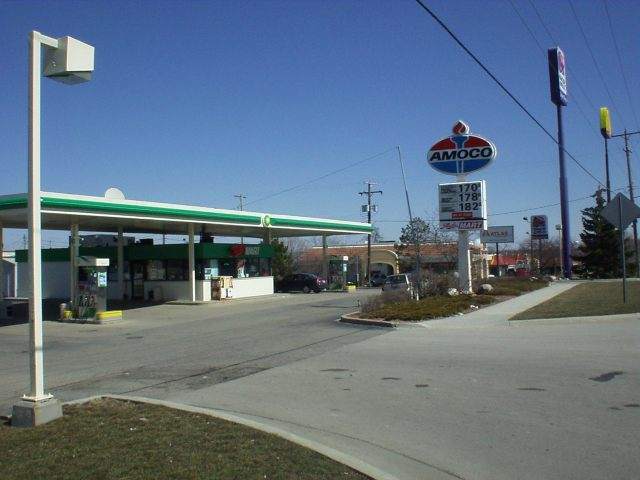 Station is located at 208 S. Old US 41 at Spies St., Boswell, Indiana. Taken March 21, 2004 by John Cirillo. 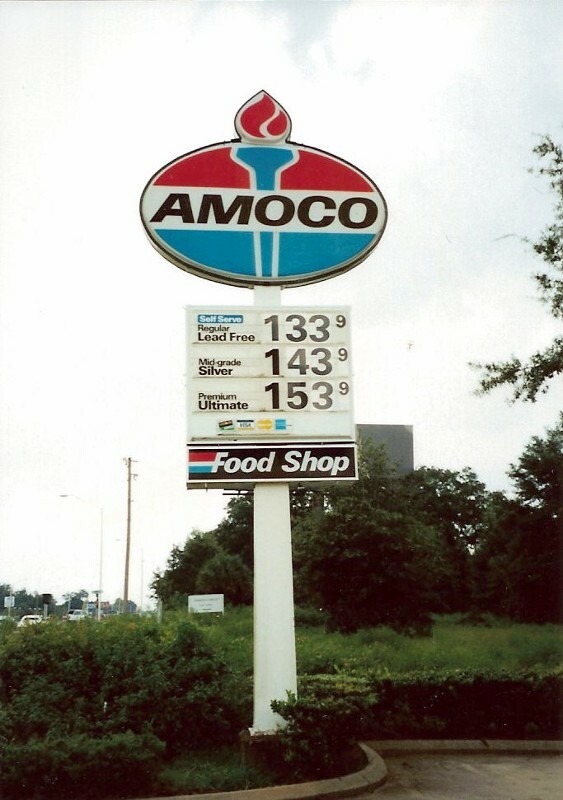 And there is a new sign stating "McFall's Service" with the prices below. So he has gone unbranded. 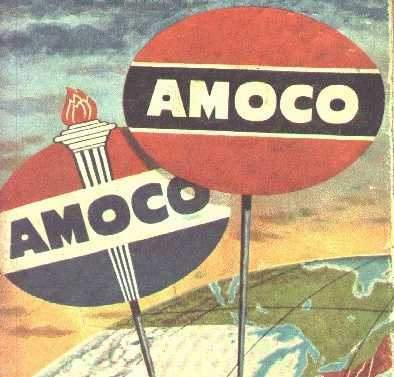 1941 Amoco Credit Card Map. 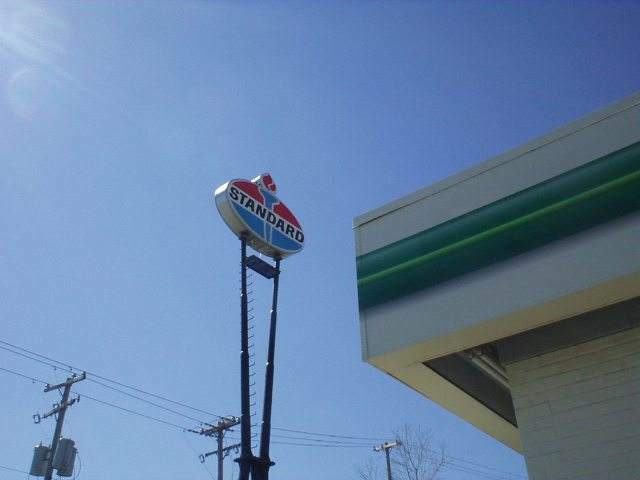 Here is a pre-1972 Standard (Indiana) torch & oval, it was put in about 6 or 7 years ago. Looks like an old expressway or freeway size sign. 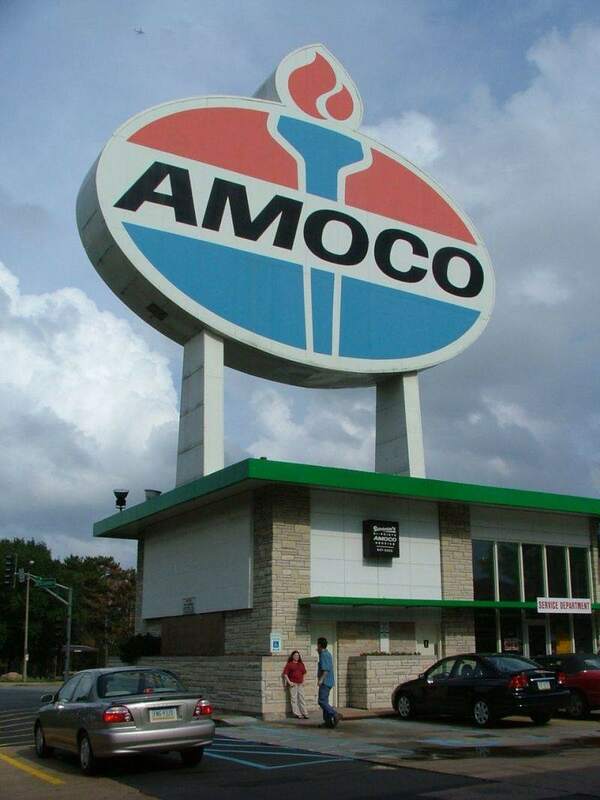 Then there's the up to date Amoco, but the pole hasn't been painted white. Plus the trim on the building (out of shot) is BP green & yellow. Tampa-Hillsborough Public Library, courtesy of Robert Droz. 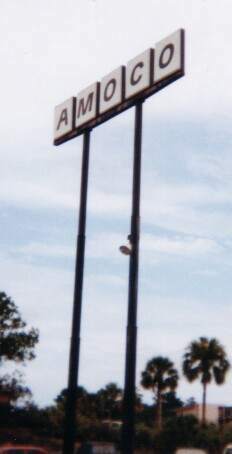 An older Amoco post and sign, Fort Meade, Florida on US 1. 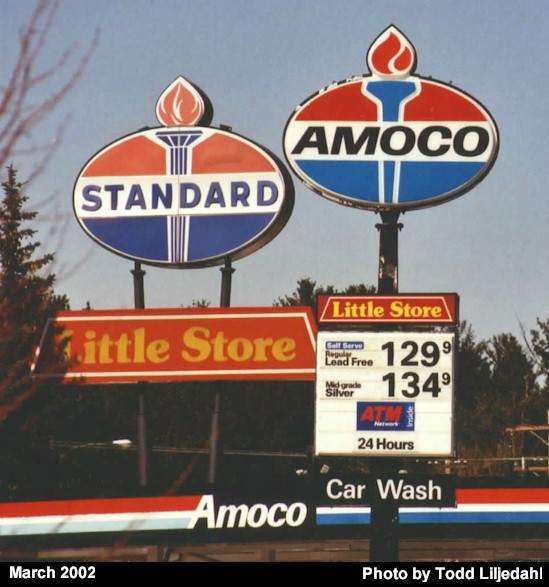 Older style station and sign, just north of New York City on US 1. 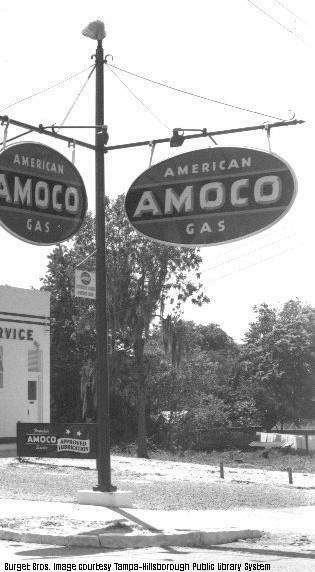 Old Amoco in Titusville, FL on US 1, greeting northbound travelers. 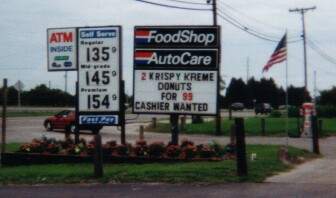 be replaced by a standard-sized BP sign by the new owners. 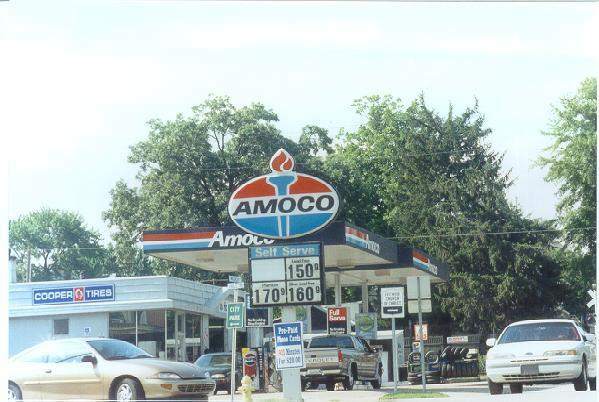 Note: As of July 14, 2004, this is still an Amoco station, per Bill Newkirk. 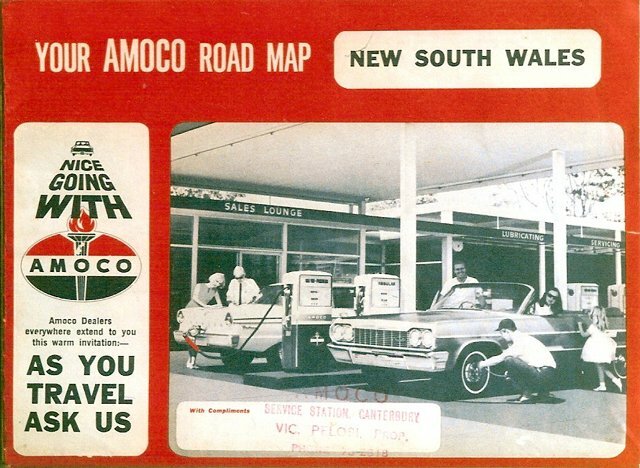 Australian Amoco map from 1965. 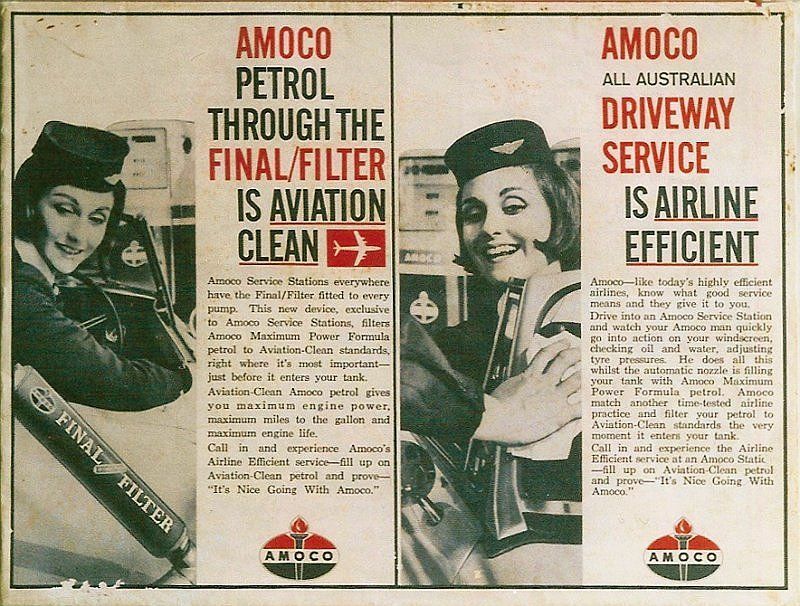 Amoco Australia was sold to BP in 1984. From the back side of the above 1965 map. 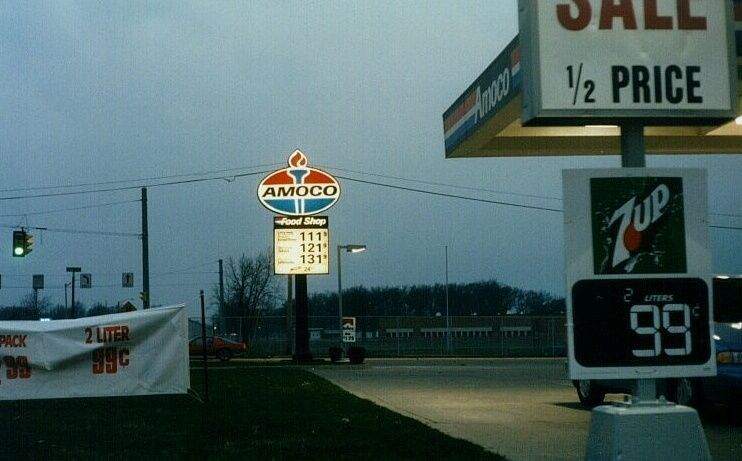 Hi-Pointe Amoco, St. Louis, MO. 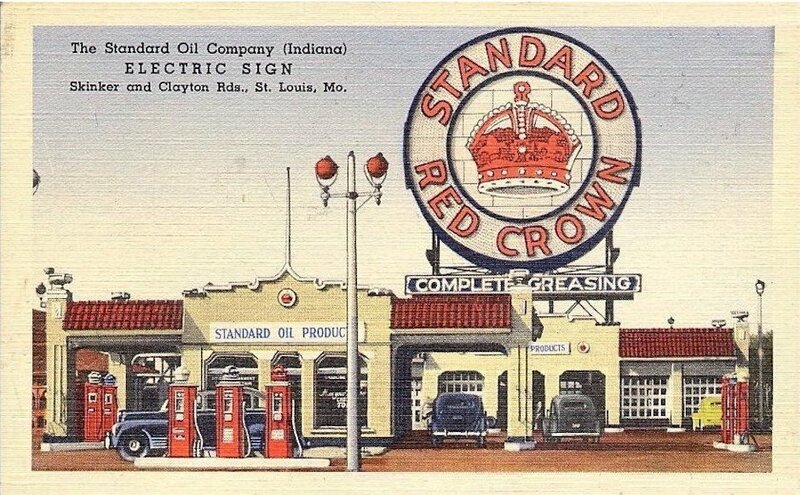 at the corner of Skinker and Clayton in St. Louis, Missouri. I am starting with a smaller picture and then the next two are bigger. This may take some time on a dialup connection, but I promise it's worth the wait! 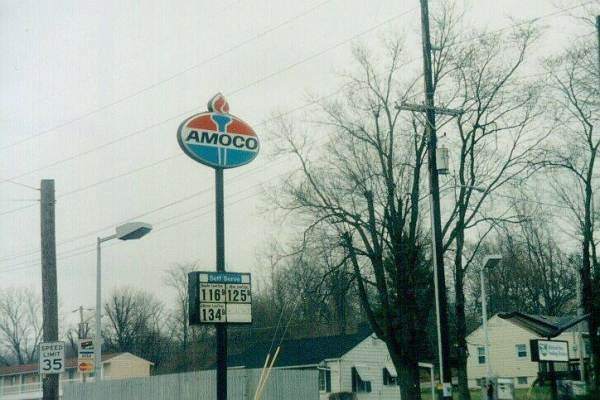 Here is the Hi-Pointe Amoco station as viewed from the eastern approach. We have just exited on Clayton from westbound I-64. We are sitting at the intersection of Clayton and Skinker. Photo taken July 2, 2004 by John Cirillo. Here is a bigger picture, standing next to Clayton and looking back to the east at the sign. Photo taken July 2, 2004 by Sonya Cirillo. The last and biggest picture, standing at the edge of the parking lot looking up. That speck in the sky is a jet airliner. As can be seen, the station has converted to the BP color scheme. 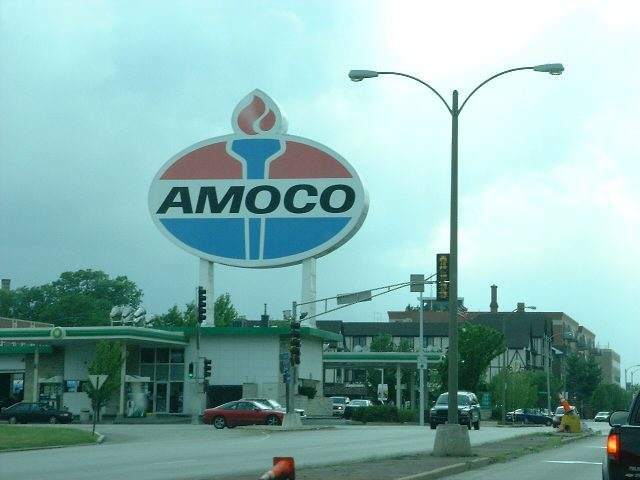 Though the big Amoco sign is considered a landmark, I am afraid that its days are numbered. Hope I'm wrong. A night shot of the Hi-Pointe sign by Larry Pearlman of BP. 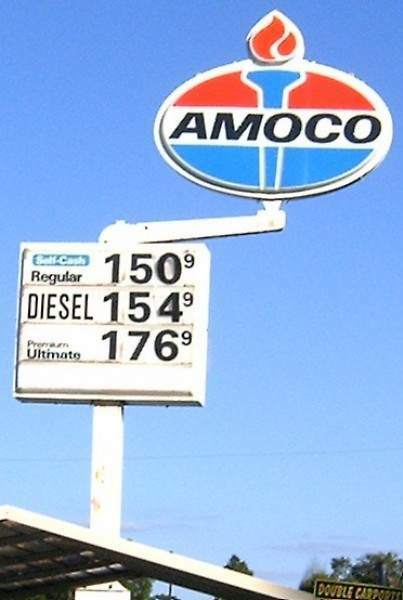 Photo taken August 18, 2005. Linen postcard of an earlier Hi-Pointe sign.